Are you prepared to deal with medical issues in a disaster or epidemic if the ambulance is headed in the other direction? What if YOU were the end of the line when it comes to your family’s health and well-being? The third edition of the bestselling book The Survival Medicine Handbook is meant to guide the average person on the road to medical preparedness. The Survival Medicine Handbook’s third edition combines conventional and alternative medicine to help you succeed, even if everything else fails. You’ll learn to use ALL the tools in the medical woodshed, and it is written in plain English. Bestselling authors Joe Alton, MD and Amy Alton, ARNP have a mission: To put a medically prepared person in every family for any disaster. With the third edition of The Survival Medicine Handbook, you’ll be well on your way to becoming a medical asset to your family in the uncertain future. Joseph Alton, MD practiced as a board-certified Obstetrician and Pelvic Surgeon for more than 25 years before retiring. He is an actively-licensed Life Fellow of the American College of Obstetrics and Gynecology and a retired fellow of the American College of Surgeons, has served as department chairman at local hospitals and as adjunct professor at local university nursing schools. 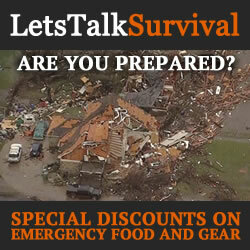 He is a popular speaker at survival and preparedness conferences on the subject of medical readiness in austere times. A member of MENSA, Dr. Alton also collects medical books from the 19th century to gain insight into off-the-grid medical protocols. Amy Alton, ARNP is an actively licensed Advanced Registered Nurse Practitioner and a Certified Nurse-Midwife. She has had years of experience working in large teaching institutions as well as smaller, family-oriented hospitals. Amy has extensive medicinal herb and vegetable gardens and works to include natural remedies into her strategies. She is also the designer of an entire line of medical kits and supplies. Dr. and Ms. Alton are regular contributors to American Survival Guide, Backwoods Home, Survival Quarterly, Prepare, Disaster Survival, Survivor’s Edge, and Survivalist magazines. Their website at doomandbloom.net has over 800 articles, podcasts, and videos on medical preparedness. As “Dr. Bones and Nurse Amy”, they host a blog, YouTube channel, and radio program and are the designers of the board game “Doom and Bloom’s SURVIVAL”. 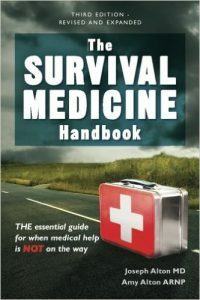 The Survival Medicine Handbook is a comprehensive 700-page emergency preparedness guidebook written in plain English by authors, Joseph Alton MD and Amy Alton ARNP to help regular untrained people prepare for and deal with many different kinds of medical emergencies when professional medical services are unavailable. However, it is important to note that this book is in no way a clinical guide or technical reference manual intended for the instruction of medical professionals, and the authors make it abundantly clear in the book’s Preface. The Survival Medicine Handbook covers a wide-range of topics beginning with a no-nonsense approach to the basic principles of medical preparedness and why it is so important. Starting with the history of preparedness and a discussion on what medical preparedness is, Section One also delves into the importance of community, achieving healthy goals and patient advocacy. Section Two focuses heavily on becoming a comprehensive medical resource which includes a wealth of information on what a survival medic is and what specialized training would be invaluable for developing the skills and knowledge necessary to save lives in a multitude of medical emergency scenarios. As the section continues, it provides much detail in regards to which medical supplies should be obtained to build extensive family and individual medical kits, and even a field hospital. The section closes with an introduction to natural remedies, oils and teas as well as addressing many emergency scenarios. Section Three is focussed on hygiene and sanitation related topics. The negative impact that anti-hygienic conditions can have on your health can be devastating as we’ve seen in many third world countries. Topics covered in this section beyond cleanliness and dental issues include dealing with lice, ticks, worms and other parasitic conditions, respiratory infections, food and waterborne illnesses, gastrointestinal issues, rodents and dealing with sewage. Section Four provides additional information related to other infections and the germs that cause disease including bacteria, viruses, protozoa and fungi. The section is further broken down into categories ranging from abdominal and urinary tract infections to cellulitis, abscesses, tetanus, mosquito-borne illnesses and of course pandemics. Section Five is focussed entirely natural disasters and environmental issues including hypo and hyper -thermia, altitude sickness, allergic reactions and anaphylaxis, poisonous vegetation, radiation sickness and biological warfare. Section Five also provides information preparedness for wildfires, tornadoes, hurricanes, earthquakes, floods, mudslides and maritime survival. Section Six is packed with important information related to soft tissue injuries from the treatment and care of minor and hemorrhagic wounds, bites and burns to dislocations and fractures, brain injuries and amputations. While technical instruction is not the primary focus of this book, I especially appreciated the added photos demonstrating how to give injections and deal with applying various wound closures like sutures and staples. Section Seven covers information related to chronic medical problems including thyroid disease, diabetes, heart disease, ulcers and acid reflux disease, seizure disorders, joint diseases, kidney and gall bladder stones, dermatitis, varicose veins and hemorrhoids. Section Eight is a compilation of other important medical issues to know and understand including how to give CPR, headaches, eye care, nosebleeds, earaches, birth control, pregnancy and delivery, anxiety and depression, and sleep deprivation. Section Nine covers another important area, focussing on medications including many antibiotics and pain relievers. 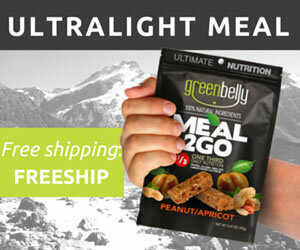 The section also covers how and what to stockpile and dealing with expiration dates. Section Ten and beyond contains all of the book’s references and a glossary of medical terms. The Survival Medicine Handbook is a vast collection of medical knowledge collated into easily digestible bits and pieces for regular people. As I made my way through the book, I found bits of information scattered all over that I already did know and much more that I did not. As a result, I realized many areas that I need to seek out more information and training. Especially in regards to treating bites, burns, fractures, hemorrhagic wounds and other soft tissue trauma, and natural remedies so that I can become an effective resource for my family in the event of a serious emergency.